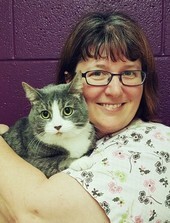 Lisa began working for Desert Veterinary Clinic in October of 2009. She owns many pets including a St. Bernard, a boxer mix, a shepherd mix and several cats. Lisa loves all animals and enjoys her job very much! 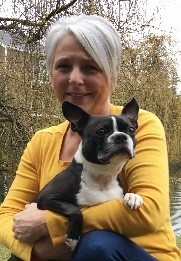 Laurie graduated from Fort Steilacoom Community College in 1982 with an Associates Degree in Veterinary Technology. She started her career with Desert Veterinary Clinic in 1985 as a technician and transitioned into clinic management. She enjoys trips to Priest Lake, crafts and her family which includes three adult children, 1 cat and 1 dog. 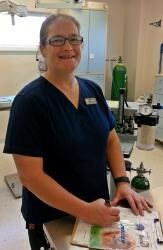 Janean moved here from the Virginia and North Carolina area and has worked in the veterinary field for 20 years. She is owned by a Japanese Chin, "Hallie", a Cavalier King Charles Spaniel named, "Luke", a Chihuahua mix named, "Poncho" and a special needs cat named, "Nero". She enjoys working with exotics, spending time with her new husband, Caleb, and crafting. Kajsa is our newest Licensed Veterinary Technician joining us in September 2015. She was born and raised in Seattle and moved here in 2001. She graduated from the University of Washington in 1993 and then went to Norway for 4 months. It was then that she decided to become a veterinary technician and attended Pierce College in Tacoma where she graduated with her AA in Veterinary Technology in 1996. In her free time, she enjoys riding horses, walking with her dogs and doing handicrafts during the colder months! We are very happy to have Kajsa on our team of fantastic technicians! Jodi was born and raised in the Tri-Cities. 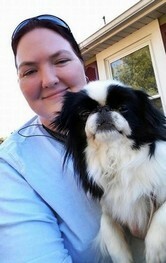 She has been a licensed Veterinary Technician since 1999. She also worked as an assistant for 3 years prior to that. 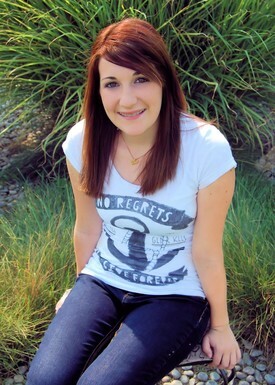 Jodi joined the DVC team in November 2011. Her favorite parts of the job are surgery and radiology. In her off time, she enjoys camping, baking, (especially cupcakes) and being with her husband Jason and her two Boston Terrier kids, Vinnie and Stewie. 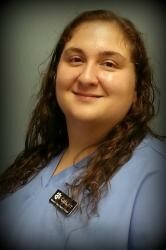 Gabi earned her Associates in Veterinary Technology with honors from Yakima Valley Community College in June 2008. She has been a licensed Veterinary Technician at Desert Veterinary Clinic since she graduated. Her favorite things to do include attending Tri-City Americans hockey games, camping and spending time with family. Gabi shares her home with a group of cats and a Pomeranian. She has always loved animals and loves every aspect of her job. 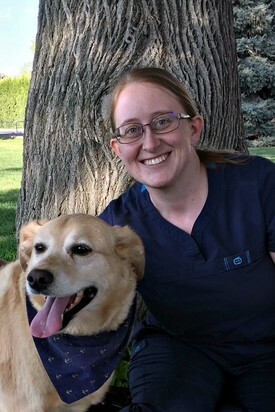 Christy is a licensed veterinary technician who graduated with her Associates of Science degree in Veterinary Technology from Colorado Mountain College in 1998. She has lived in the Tri-Cities since 2009 and shares her home with her husband, daughter, 5 cats, 3 dogs, 5 ducks, 20 chickens, 3 bee hives and 1 horse! If she isn't at work, she is off taking care of someone or something! 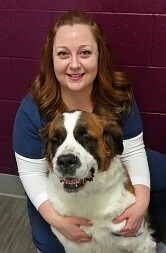 After a few years of soul-searching her way through college, Lauri finally discovered her passion for Veterinary Medicine. She graduated from Pierce College in Los Angeles with a degree in Veterinary Technology in August 2017. She joined the team at Desert in March 2018 and is excited to learn and grow here as a Veterinary Technician. She spends her free time hanging out with her husband, an ornery cat, a fantastic mutt of a dog, and a lovely herd of guinea pigs. I have been a veterinary assistant with Desert Veterinary since 2017. I have a fiance, a son, two dogs, "Rebel" (who is not very rebellious), and "Tiny" (who is not tiny) . My son, Andrew also has a guinea pig, "Ricardo". I love the outdoors, and horses are one of my favorite animals (I used to compete in jumping and under saddle classes). I hope to go to attend classes to become a Licensed Veterinary Technician soon!